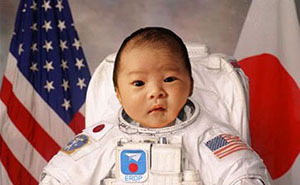 [APRIL FOOL’S JOKE] ‘Babynauts’ to Fly in Space This November; My Daughter Got Selected! Dear Voyager 2: Von Voyage, I will follow you soon. [April Fool Joke] My book, “The Voyage,” will be a Movie!